While hundreds of clubgoers danced to the infectious rhythms honoring the African music legend Fela Kuti, there was also a large crowd incredibly standing still gawking at the live artwork being created by Atlanta-based artist Craig “Flux” Singleton aka C. Flux Sing. Using marker and acrylic paint, Sing’s amalgam of pastels and primary colors bordered by bold black lines collectively tell the story of the Black struggle, unity, humor, beauty… Somehow he takes themes from opposite extremes and vibrantly fuses them together to create masterpieces that quickly are purchased to adorn walls throughout the U.S. 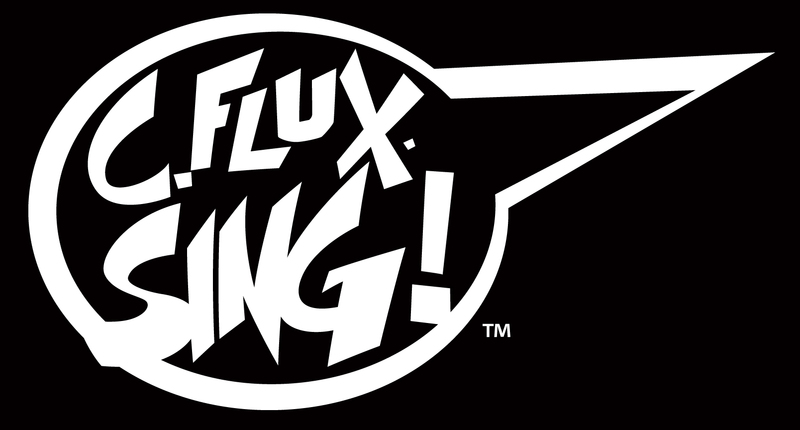 Whether it’s a hipster or an executive of a major corporation, a growing legion of admires are happily supporting C. Flux Sing’s amazing work. An import from Laurelton, New York, Mr. Sing has made Atlanta his home for more than a decade. However, getting his just recognition as one of the city’s most revered artists took patience. Currently, Georgia’s capital is taking on a revolutionary stance by finally embracing art in all its facets; in particular, Sing’s penchant for using vibrant color schemes which captivatingly tell the true story of the Black experience. But while he shines as a fine artist who consistently sells his artwork during exhibits including the globetrotting Art, Beats + Lyrics, “24 Reasons to Live”, I’m A Beast, and other productions which strive on showcasing particularly urban art created by the avant-garde, Sing refuses to be pigeonholed. Major corporations including Boost Mobile, And 1, Scion, and New Balance regularly hire him and his effortless grasp for graphic design, print media, and branding. So is there a way to describe Sing’s style? So whether it’s heading a new branding project for a major corporation based in a skyscraper in Atlanta’s bustling Midtown business district, or adorning a side of a building in Nairobi with a vibrant mural promoting self-determination, C.Flux Sing will always have an audience who will appreciate art that comes from the heart.